Tickets will be mailed directly if purchased by Tuesday, August 21, 2018. TICKETS PURCHASED AFTER TUESDAY, AUGUST 21, 2018 MUST BE PICKED UP AT WILL CALL LOCATED AT THE GRANDSTAND TICKET BOOTH. See Ticketing Information Page. Anyone over 6 will need to purchsae gate admission to enter. Thursday, August 30, 2018 at 8:30 p.m.
We love the derby, we've been going on thursday nights for years! Thanks for putting on a great show. 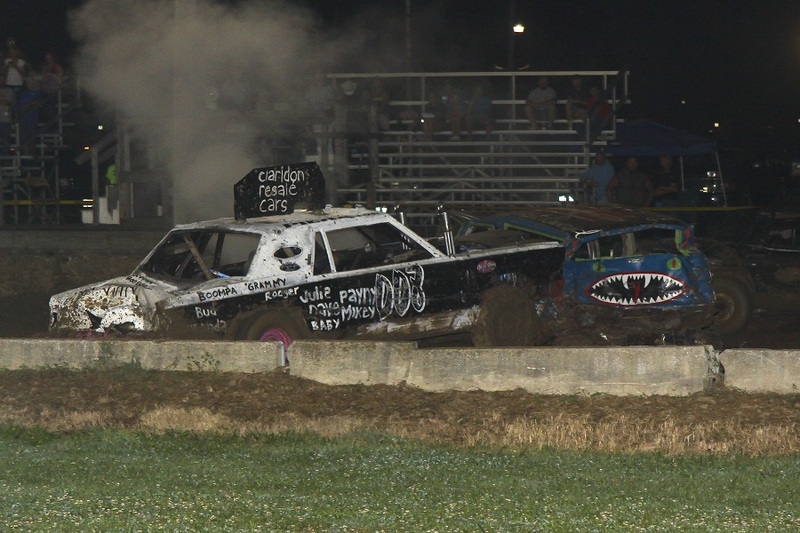 we love the demo derby- always exciting! we ordered our tickets early this year because they sell out so quickly! great fun for the family, but can get loud at times.